"I learned the discipline of flying in order to have the freedom of flight....Discipline prevents crashes." Freud says humans by nature "avoid pain and seek pleasure." It hints at taking instant gratification rather than doing the hard work required to be successful. This fundamental human concept is incompatible with tasks required to be a safe pilot. When you read the next accident summary, you will invariably read the statement, "accident caused by pilot's failure to...." If you can substitute the following phrase, you'll have a whole different view of aviation safety: "accident caused by pilot's lack of discipline related to...."
In case you ever wondered, the pilot is one of the most critical parts of a flight. How a pilot flies is an advertisement to all aboard about his character, his discipline, and his attitude towards safety. If he controls every aspect of the flight with skill, good choices, and discipline, the flight is successful. This is the essence of airmanship. Without these three elements operating together, a tremendous amount of potential talent is wasted. Right about now you should be wondering what kinds of things strengthen flying discipline as well as destroy it. himself. He must carry on the fight of self-correction and discipline." 1. Justification. It's easy for us to justify an act which is not up to specifications when the results of the act are successful. I had a student who had a habit of taking off without aux fuel pumps on. No matter how often I reminded him of the possible consequences, Paul had it stuck in his mind that it had worked 735 other times without the aux pumps. Logic dictates that the next time would also be successful. Paul had found a way to justify the shortcuts he was taking in his pre-takeoff checklist. Unfortunately, this was a lesson learned the hard way when Paul lost power one bright morning and landed on the highway adjoining the airport. His engine driven fuel pump had finally failed him. Luckily there wasn't much damage, and he was able to get the airplane back to the airport before rush-hour and News 6 found out what he had done. 2. Lack of Confidence. If we're not practiced in a skill, its easy for everything to fall apart under pressure. 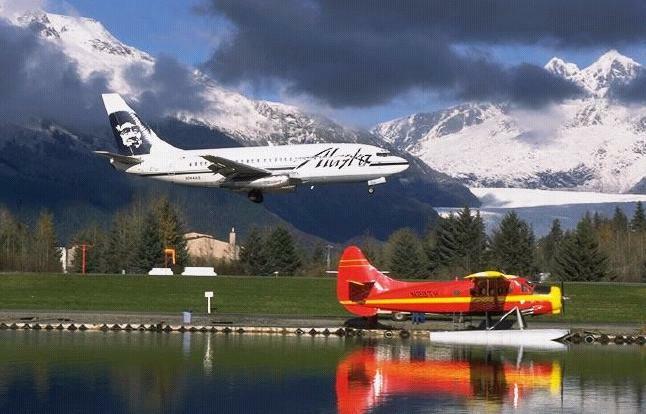 This pressure could come in the form of a checkride and sometimes even passengers watching your every move. Under pressure, those things not permanently etched upon us disappear. A former student told me about an experience on a checkride in which he failed. He indicated that he had failed to use and follow the aircraft's checklist on three occasions. When I explained that the pressure had gotten to him so he reverted to a primal state under the pressure of a checkride, he understood. He asked, "How do I fix that?" I told him about the two things he had to attack. First was the self-discipline to always use a checklist when the circumstances called for it. Second was the confidence in his own abilities. When its crunch time, he has to be sure in his mind and heart that everything is within his capabilities. A. Antiauthority ("Don't tell me!") - Don't like anyone telling him/her what to do. Resentful of rules & regulations. B. Impulsivity ("Do something - do it now!") - Need to do something, anything, quickly. Don't stop to think about better alternatives. C. Invulnerability ("It won't happen to me.") - Accidents happen to other people, not to me. Therefore, I can take chances. D. Macho ("I can do it.") - Always trying to prove themselves better than others. Take risks and try to impress others. E. Resignation ("What's the use?") - I really can't make a difference. It's going to happen anyway, why bother? Leave it to others. Each of these has an antidote which should be used if these attitudes affect your flying discipline. Learn more about aeronautical decisions. 1. Recurrent Training. Sometimes its hard for a 5000 hour pilot to want to take additional training. He has determined by that point in his flying career that he's seen it all. Why should he subject himself to the same old stuff. As a Flight Instructor, I do not find it hard to keep myself current. I easily get 6 approaches, holding, and interception/tracking courses. In spite of this, I subject myself to a yearly proficiency check by one of the local examiners. It has not failed me yet. I have learned something new each and every time, and it was worth the couple hundred dollars because its a new skill I can take to my students. 2. New Learning. 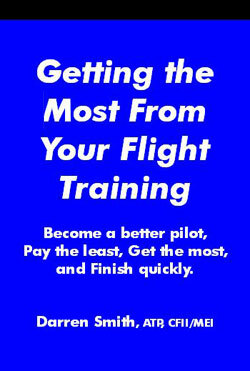 Subscribing to publications which suit your flying interests is a way to enhance your skills and flying discipline. It improves your self-worth, your thinking process, and your habits. Learning is a way to alter a mindset which can result in changes in patterns of behaviour and increased flying discipline. The sooner you start, the easier it will be to unlearn the ineffective habits. Entrepreneurs know that success comes from non-stop evolution by constant learning and adapting. Successful pilots do the same by seeking out new opportunities to learn and finding a learning experience on every flight. 3. Practicing Good Habits. The human mind is amazing in its ability to change its own chemistry and wiring. Our habits and preferences are neurally wired and its the reason why we always revert back to those comfortable patterns in our life. Any time we want to change, it seems to be an uphill battle because we feel like we are "working against the grain." Indeed we are, the grain of the wood, much like our head is hard to change. There's hope for those that want to overcome this trauma of their existence. Through practice of good habits, using good flying discipline, the neural connections of a new behaviour are strengthened. In time, the new habit becomes the preferred method of operation over the bad habits of the past. Its all about repetition. I am confident this is within my capabilities. People depend on me to fly safely. I am a safe pilot, I don't take shortcuts. I have good situational awareness. 5. Make safe choices. Making safe choices puts you in the position of controlling the flying environment. Such discipline allows you to chose the outcome of a flight rather than being a slave to coincidence. As a result of making safe choices, you'll feel more confident as a pilot, more situationally aware, and more satisfied.